Films spark debate and shape culture — and this cinema is bringing them to everyone. Global Citizen believes in building an international community of informed and engaged activists. And Sunshine Cinema is using film to do just that — with the added bonus that it’s powered with green energy. You can join us by taking action here to help be the generation to end extreme poverty. Movies are one of the most popular ways to convey a message, educate the public, shape culture, and of course entertain in the process. But in South Africa, there’s only a small cinema-going audience — largely because the price of going to the cinema regularly is more than most South Africans can afford. Therefore, cinema-going audiences remain predominantly in white areas. That’s why Sunshine Cinema was born, to bring Africa’s best films to communities where a visit to the cinema is a luxury. 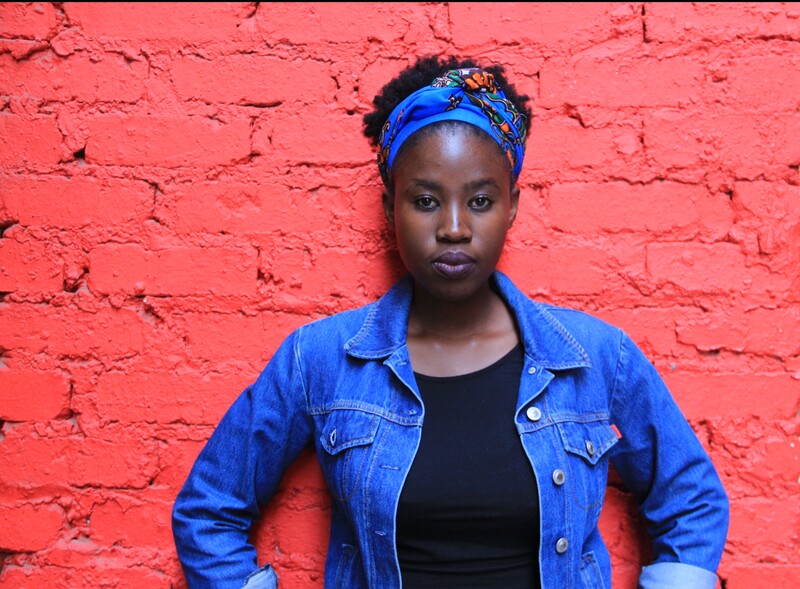 After nine years of running a successful Cape Town-based production company, Makhulu Production, filmmakers Rowan Pybus and Sydelle Willow Smith launched Sunshine Cinema in 2013 to take the empowering content they’d been producing to the people. “Making films is a cycle and a few years back we realised that we hadn’t taken the full cycle of our films in terms of their lifespan and impact into account,” Pybus told Global Citizen. Sunshine Cinema not only has a visually entertaining element, but it also sparks conversations on political, economic, and cultural positions faced by everyday South Africans. Being powered by solar energy, it can driven and set up around South Africa’s less-privileged communities, such as townships and rural areas. A particular bonus is that it can visit communities even when they don’t have an electricity supply. But using green energy also has its environmental advantages. It’s non-pollutant, and doesn’t contribute to the greenhouse effect and global warming. But Sunshine Cinema is more than just a cinema — it’s a whole grassroots movement. Pybus and Smith are encouraging fellow community members to get involved, to expand their mission and empower others. They’ve created a mini solar-powered portable cinema, called a Sunbox, funded by their partners Bertha Foundation and the Prince Claus Next Generation Fund. It comes with a solar panel and battery, mini projector, speakers, and instruction kit. And it can, according to the website, turn any laptop or even mobile phone into a community film screening. Pybus and Smith want others to become Sunbox Ambassadors, to adopt a similar strategy of screening films and engaging their respective communities through film. “We are calling on the general public to support our Sunbox Ambassadors as they create change from within their own communities through fascinating screenings and talk,” says Pybus. With a film called This Land, which deals with the issue of land rights in South Africa, the filmmaker and their team went on a national tour of screenings — following the public hearings into land policy around the country. Another tour — called Ignite Your Rights — is coming up, which will be a series of films mainly addressing gender rights, and the shifts currently occurring in gender and identity. Sunshine Cinema also hosts workshops in different communities for aspiring filmmakers, which combine technical training, creative empowerment, and social media strategy. You can find Sunshine Cinema on Twitter, Facebook, and Instagram. 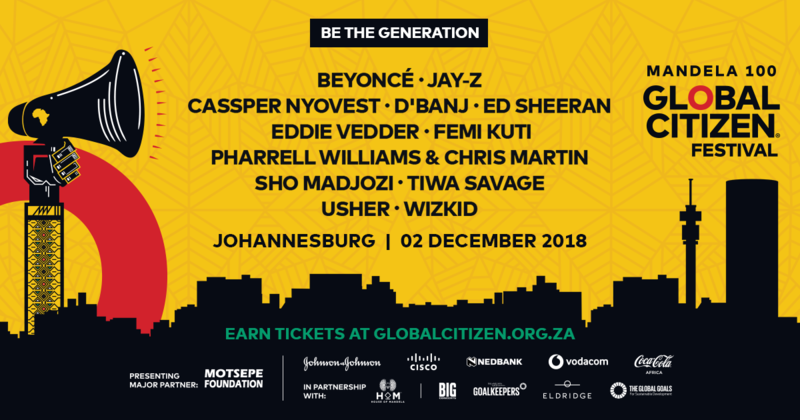 The partners for the Global Citizen Festival: Mandela 100 are our Presenting and Major Partner The Motsepe Foundation, with major partners, House of Mandela, Johnson & Johnson, Cisco, Nedbank, Vodacom, Coca Cola Africa, Big Concerts, BMGF Goalkeepers, Eldridge Industries, and Associate Partner, HP and Microsoft.